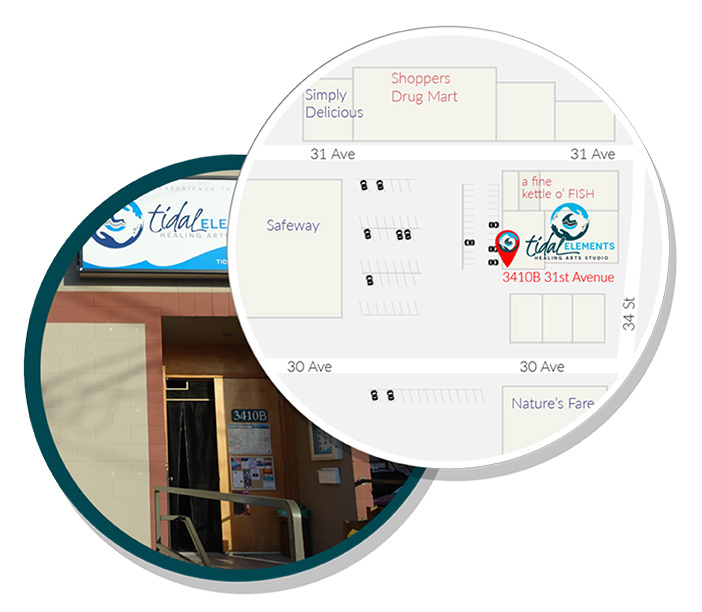 The Clinic space is next door to Fine Kettle O’ Fish, adjacent to the downtown Safeway. The Studio space (3410B 31st Avenue) is just behind the Clinic, conveniently located across the parking lot from the Downtown Safeway. This is where all of our classes, workshops and events are held. Please review the Events Calendar to check out our schedule and feel free to come by the studio for any class or event that interests you.